This article was updated on July 12, 2016. The Permanent Court of Arbitration in The Hague today undercut China’s claim to maritime territory in the South China Sea by ruling that China’s claims have no legal basis. The case was first brought to the court by the Philippines in January 2013. The country argued that under the U.N. Convention of the Law of The Sea (UNCLOS) the Chinese did not have the right to its vast maritime territorial claims in the South China Sea, its reclamation schemes did not constitute legitimate islands and its activities were damaging the marine environment and violating the Philippines’ sovereign rights. The court decided in favor of the Philippines. The court’s ruling will strengthen the claims of other countries in the South China Sea against Chinese maritime expansionism. The court’s decision is celebrated in Vietnam. China will ignore the ruling. All along it has claimed the Permanent Court of Arbitration did not have jurisdiction. However, the court’s decisions and the Chinese policy of nonparticipation and nonacceptance shake their standing as a member in good standing of an international community bound by rules of order and international treaties. China will snub the legal international order and seek bilateral negotiations with the Philippines. The Philippines has gained from the court ruling by drawing international attention to China’s claim and activities in the region. Since the court had no powers of enforcement, the Philippines’ victory is a legal one but unlikely to lead to a Chinese back down. The ruling does not make diplomacy any easier for the U.S., which now has to deal with an ally who has won a legal decision but also a rival who will not back down under the muscular pose of President Xi Jinping, even after the court ruling. What is the background to these tensions and what are their likely implications and consequences? The Philippines chose to challenge China’s claims to the Scarborough Shoal, the green dot west of Manila on this map, through the U.N. rather than bilateral talks. Screen shot of Google Maps. It was these actions that prompted the Philippines to take the matter to the court in the Hague in 2013, rather than pursuing bilateral discussion. The Philippines, unlike other states in the region, has fewer economic ties with China and close military ties with the U.S. Today’s court ruling firmly denies China’s claim to an EEZ based on its activities in the Scarborough Shoal. Vietnam and the Philippines have undertaken similar ventures, but China has outpaced every other country combined. Sand is pumped up from the sea floor and spread across islands and even the live coral of submerged reefs that are then concreted over to become bases capable of providing docks for ships and runways for planes. Military runways have been built on Mischief Reef and Subi Reef. In other words, the Chinese have militarized the disputed islands. However, today’s court ruling states that Mischief Reef, Second Thomas Shoal and Subi Reef were submerged at high tide in their natural condition and don’t generate a 12-nautical-mile territorial sea or EEZ. 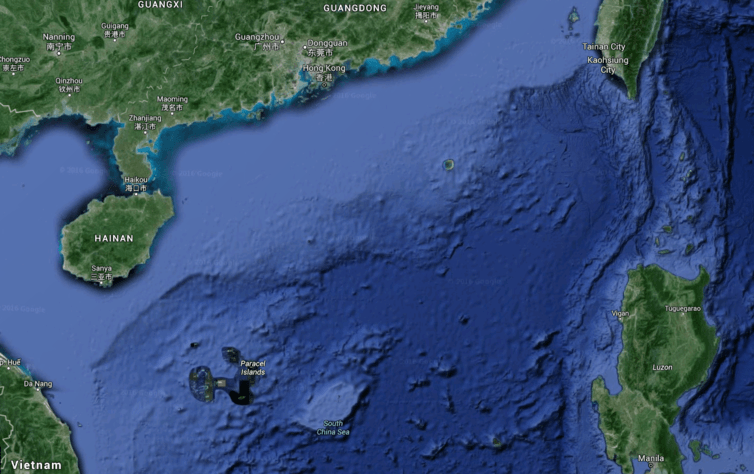 China’s claim to Scarborough Shoal always lacked any connection with current laws of the sea; I would interpret it as a claiming of world power status and importance. After today it no longer has any international legal authority. The U.S. is the only country capable of proving a credible counter force. The U.S. response is sometimes referred to as the “Pivot to Asia” announced in 2011. 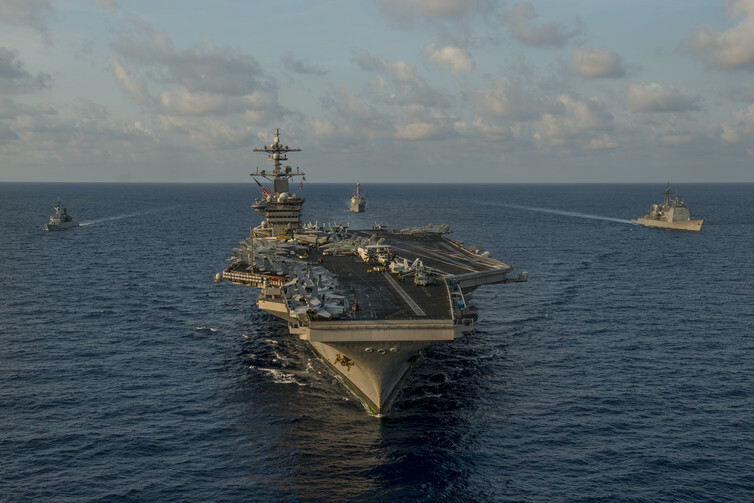 It includes an increase in U.S. Navy assets in the Pacific, a planned deployment of 2,500 marines to Darwin, Australia and a reassurance to regional allies to keep the South China Sea free for navigation and trade. The U.S. Navy has undertaken maneuvers in the region to drive home two points: These are open waters and the U.S. is still a credible force in the region. The court ruling will likely create more problems than solutions. Interpreted by China as a U.S.-inspired power move, it will increase rather than decrease geopolitical tensions. ← Is there an Asian ‘disadvantage’ in higher ed?